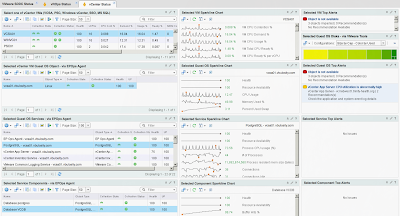 Over the past few years, I have been designing, deploying, and customizing vRealize Operations (vROps) Manager for many VMware customers. Working with different clients, I noticed a common theme emerge among various business and IT leaders. Many customers are looking for IT reporting that closely resembles their lines of business such as services, departments, applications, teams, and other logical business constructs. 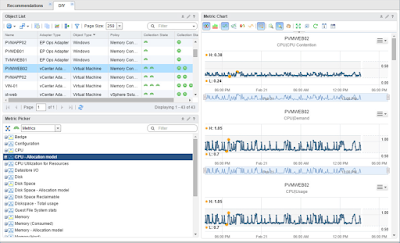 Quantifying performance, utilization, and consumption at the logical business unit level is more important to business leaders than at the vSphere Cluster level. This is because in today’s world, services, applications, and business units can span multiple infrastructures from private, through hybrid, to public. Generally, IT reporting around business services has been difficult with traditional tools as they are very infrastructure-centric. 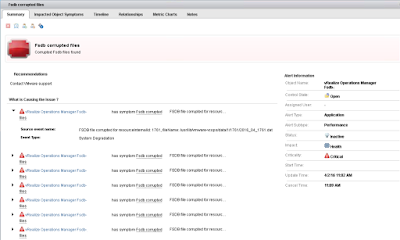 vRealize Operations Manager is flexible and ready to answer this challenge. This white paper is designed to serve as a comprehensive guide that ties various distinct vROps features into a cohesive solution and enables IT to become more transparent and aligned with business value. 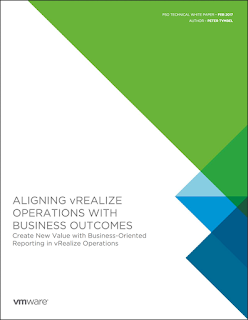 The white paper walks through extending vROps to provide business-oriented reporting that empowers business stakeholders to make better decisions and gain insight into various business services in the datacenter or cloud. Build Custom Dashboards that provide information your business wants. Yep, looks like you're right. No matter how many times you go over it, you always end up missing something... Thank you for catching it. I'll post an update with the correction.